Reliability is all about getting out in front of your equipment, understanding its failure modes and stopping them from happening. A lot of elements cause equipment failure, and because of this, about 90 percent of failures happen randomly. You can try to prevent failure by changing your parts before they fail; this works 12-18 percent of the time. You can attempt to predict their failure, but this is only 50 percent accurate. To achieve reliability, you need to be proactive. Although equipment fails for a lot of reasons, they all fall into one of three major categories: improper lubrication, contamination and incorrect installation. Of these three, lubrication, or better said, improper lubrication is the most prominent. Improper lubrication drives mechanical wear and corrosion, which leads to premature failure of your lubricated assets. 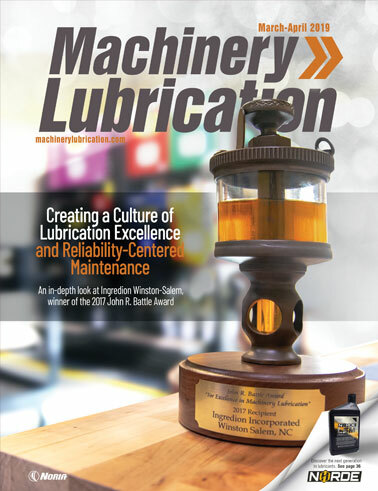 If your organization does nothing else to improve reliability, you should address lubrication. It offers the biggest bang for your buck and can be implemented relatively cost effectively because most organizations are already spending money on lubrication and just need to know how to do so effectively. Webster’s dictionary defines lubrication as the application of some oil or grease substance to diminish friction. Although this definition is valid, it does not encompass everything that proper lubrication can achieve. It is this simple definition that often explains why organizations place little or no importance on lubrication. They lack a thorough knowledge of reliability and how lubrication impacts it. Think of your lubrication systems as the circulation system in your body. To stay alive, you need to do a lot of proactive reliability efforts. The driving force behind the need for a lubrication program is the fact that 70 percent of all unreliability is caused by a lack of a lubrication program. Improper lubrication causes mechanical wear and premature equipment/component failure or unreliability. Mechanical wear of equipment components is common, particularly where improper lubrication is an issue. Particle and moisture contamination, along with the wrong or degraded lubricants, are the prevalent factors in creating rust on metal components. This increases the oxidation rate, which leads to increased acid within the components. Mechanical wear happens when machine surfaces rub against each other. Abrasive wear takes place when particles enter the system, commonly through contaminated lubricants. These particles are usually dirt or wear materials, and they lead to three-body abrasion known as surface fatigue, which pits and scores machine surfaces. This results in premature failure and unreliability. Adhesive wear occurs when two surfaces come in direct contact and transfer material from one face to the other. This happens when lubricants cannot support the load, where surfaces suffer from lubricant starvation or when the wrong lubricant is used. Metal fatigue is another form of mechanical wear. An example would be if you worked a wire back and forth to cut it without tools. The more you move the wire back and forth, the harder the metal works; the fatigue increases, ultimately resulting in a brittle point that snaps. This is the effect contaminants have on metal surfaces. Over time, this constant flexing will fatigue the metal, causing premature failure. 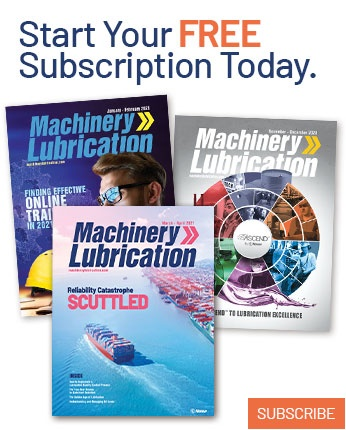 The Institute of Mechanical Engineers has found that “every $1,000 invested in proper lubrication yields a savings of $4,000.” This is a great return on investment in anyone’s book and an example of how to justify a project and fund your reliability efforts. Acid is a byproduct of the reaction between additives in the oil and water. Lubricant contamination has many paths. The manufacturing process of the lubricants is the first place contamination enters the system, but it can also enter through seals, creating a caustic environment that results in wear. This can happen if you do not understand the lubricant’s additive package, because you can end up with corrosive damage. An example would be using an extreme-pressure additive with yellow metal (copper, brass, etc. ), because some of these additives are corrosive to this type of metal. This is another instance where you need someone on your team who understands this problem and is qualified to review and eliminate it from happening. To proactively address the single most common cause of unreliability, you need to develop a lubrication program. To start a lube program, you must understand that there are several different substances that can be used to lubricate a surface. The most common are grease and oil. The selection of the proper grease should be done with the utmost diligence to address all equipment needs. Many manufacturers sell inferior grease, and the thickening agent and oil separate. This leads to lubrication-based failures, because once the oil separates, the grease loses its protective quality. I have seen organizations use extension hoses to make grease points easily accessible. This can be a machine killer, depending on your grease. You need to know the amount of time the grease will sit in the line based on the frequency of application and the amount. The wrong grease will allow the oil to leach out of the thickening agent, and all you will be providing the lubricated asset with is the thickening agent, devoid of oil. What would appear to be a great idea to an uninformed organization could be a self-inflicted wound. When making the decision to undertake any project, you must understand what constraints you have. The constraint can be displayed as a triangle. A graphical representation of this decision-making is shown below. 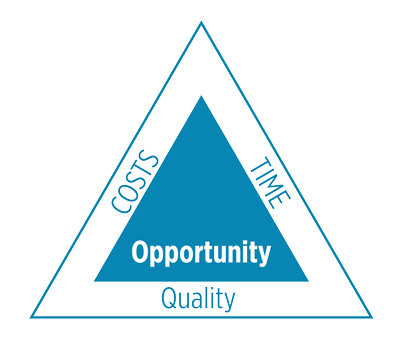 One leg of the triangle is cost, the next is time, and the final one is quality. The middle of the triangle is traditionally risk. I like to look at these projects with an eye on the opportunity and not the risk. All projects have associated risk and opportunity. Your job is to look at the risk and mitigate it to the best extent possible, or to look at the opportunity and maximize it. My recommendation to all organizations is to never compromise on quality. For me, the decision on how to approach the project comes down to cost and time. If cost is the determining factor in your organization, then it will take more time. The reverse is also true: if you want results in a quicker timeframe, then the costs will increase. The decision on costs and time needs to be made by looking at the opportunity. Organizations that keep their eye on the opportunity will gain an advantage over their competitors. There are some distinct steps necessary to achieving a lubrication program that will deliver the desired results. You need to build a business case by determining the costs of benchmarking your site, gathering data, and designing and implementing the program. The first step you must take is to benchmark where your organization is today. If you don't have the internal resources to conduct this benchmarking or time is an issue, collaborate with an outside subject-matter expert who has the expertise to help you pull together all aspects of a lubrication program. Organizations that make the mistake of allowing their lubrication provider to do any of this work without verification do so at their own peril. Every case that I have seen where the provider was also in charge of design ended with substandard results. Providers will offer free studies and other services which are enticing to organizations that do not know better and are budget-driven. If this is the path you take, you should save your money. Few providers have qualified representatives to accomplish what is needed. Without a qualified reliability leader in your organization who knows the difference, you will not achieve the desired results. 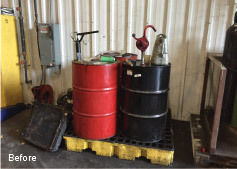 The goal of your lubrication program is to keep your equipment clean, cool and dry. For every 10 degrees C or 18 degrees F, you increase or decrease the component life by 50 percent. If you have the right program storing, handling and delivering the best lubricants to your equipment, you can do more with less just by changing your lubricant suppliers. For proper lubrication, you must store, handle and deliver the best lubricants to your equipment. Contamination can be segmented into the contamination of your lubricants and spare parts (specifically in their storage and handling), and the physical contamination of the equipment, caused by poor housekeeping. Again, it is relatively cost-effective to get your teams to perform housekeeping and store your lubricants and spare parts correctly. However, it can be difficult to achieve if your leaders lack the necessary skills to lead their teams. Poor housekeeping is a direct representation of a lack of leadership, so addressing this problem should be focused on your leaders, not their teams. The importance of keeping things clean cannot be overemphasized. Contamination will attempt to enter your operation at every opportunity it is given. To combat this, you need to be out in front of where it can enter. Most contamination will come into your operation through the entrances and exits, but your operation itself may also be a source. The start of your contamination prevention program should be your storeroom. The way you receive and store your repair parts will set the stage for your plant’s reliability. This contamination control starts with your vendors. If you do not have a specification for how you will receive your spares, you are missing a key aspect of obtaining reliability. Your specifications must start with your cleanliness standards. The parts or materials you are receiving will drive these standards. You should visit the vendor and understand how the parts are being stored before their delivery to your plant. At no time should you allow a part to enter your facility if you do not know what conditions it has been subjected to. 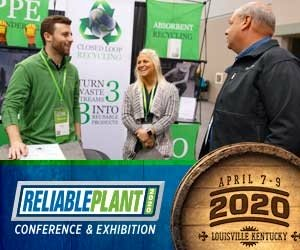 If you miss this opportunity to improve reliability in your operation, you are allowing your vendors to set your standards. I am always disheartened to hear maintenance and reliability leaders tell me that they cannot control what happens to the parts before they enter their facility. This cannot be further from the truth. Once the part has entered your facility, you need to make sure it is cared for as well as all the other parts of your operation. All too often, organizations pay no attention to their spares until they install them. This is too late. The parts in your storeroom must be treated and maintained as if they are already installed in your equipment. The storage of gearboxes, motors, belts, bearings, cylinders, etc., will dictate your ability to deliver on reliability. Depending on your organization’s manpower and stores facilities, you may want to review and decide where and how all your spare parts are stored. It is not necessary to have one or more of everything in your storeroom. The decision on what to store is one that requires a lot of discussion and should be devoid of emotion. There are significant costs associated with storage of parts. The average is 20 percent of the cost of inventory. So, if your stores value is $1 million, it costs you $1.2 million to keep those stores. If you stock the right stores and eliminate all duplicates and spoiled stores, you save money and obtain another funding source for reliability efforts. This affects your organization’s free cash flow. If you are not storing parts correctly, it costs you even more money when you install them and they fail prematurely. The cost of downtime will prove that if you do not maintain your stored parts in a reliable state, you are better off letting your vendors store the parts correctly at their site and delivering them to you when needed. This may sound extreme, but if you add up all the time you spend storing parts incorrectly and compare it to the reliability of having them stored correctly, you will see that you can make more product and spend less on replacing new parts gone bad. This step identifies what work can be accomplished by operators to prevent further deterioration of the equipment. During the kaizen (improvement) event, the team defines what the operators will clean and inspect, and how they will do it. Again, I stress that only employees who have been properly trained in lubrication should be allowed to lubricate your equipment. This will define how often it must be done to keep the equipment in optimum (base) condition. Training the operators is not the end but the beginning. Developing the operator is how you make these efforts sustainable. Contamination control can be accomplished by reducing or eradicating contaminants through housekeeping efforts. The most common types of contamination are dust particles, wall and floor materials, packaging and crate particles, fibers, shavings from moving parts, other poorly maintained surfaces, liquids not being cleaned up, and equipment left damp to rust. These and many other damaging contaminants can infiltrate critical equipment areas in many ways. The goal is to find and eliminate them all. The proliferation of contamination will lead to product damage and recalls, which are detrimental to the business. Businesses are not protecting themselves from the effects of contamination, and their products are suffering from these unsafe processes. Eighty percent of all contamination enters the process through entrances and exits. Therefore, one of the first logical steps to proactive reliability is the implementation of a contamination control program for lubricants and spare parts aimed at their entrance into the building. Heat, moisture, air and particles rob equipment of life, but with rigid contamination control practices, fluids can last indefinitely. This, in turn, prolongs the life of the equipment’s components and keeps the machine running at the highest level of efficiency. Additionally, the costs to start a proactive contamination control program are covered by reliability cost savings. A contamination control program can be employed in three steps. First, start by setting target fluid cleanliness levels for all equipment. 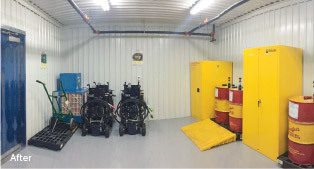 Second, select and install filtration equipment (or upgrade the existing filter rating) and contamination prevention techniques to achieve the cleanliness levels. Finally, monitor cleanliness at predetermined intervals to achieve the desired levels. For the same reason you do not drive a car without a working fuel gauge, you shouldn’t attempt proactive reliability without a monitoring program. Monitoring will give you the data you need to ensure that your machinery is operating within contamination standards. Proactive reliability addresses much more systemic elements of a reliability program, rather than inspecting the machine itself. This approach is more diligent and looks to manage the difficulties that can contribute to equipment wear and tear as opposed to the failure. Stopping contamination does not cost a lot of money, but it does take a lot of hard work. I know hard and work are dirty words, but doing the right thing is rarely easy. Improper installation starts with your equipment design. Those charged with the design of your equipment need to understand reliability and design it into your equipment first and foremost. Designing the equipment for reliability and maintainability will set up your organization for success. To remember how to combat this portion of unreliability, I think of it as having the right person with the right part at the right time. Improper installation is made up of several parts; start your elimination of unreliability before the systems enter your building. Designing for reliability is the most recent term for engineering equipment for reliability. Ensuring that there are no hard-to-reach points that require the equipment to be shut down to service will increase maintainability and, as such, will achieve reliability right out of the gate. It is during this phase that the importance of an experienced reliability professional is clear. 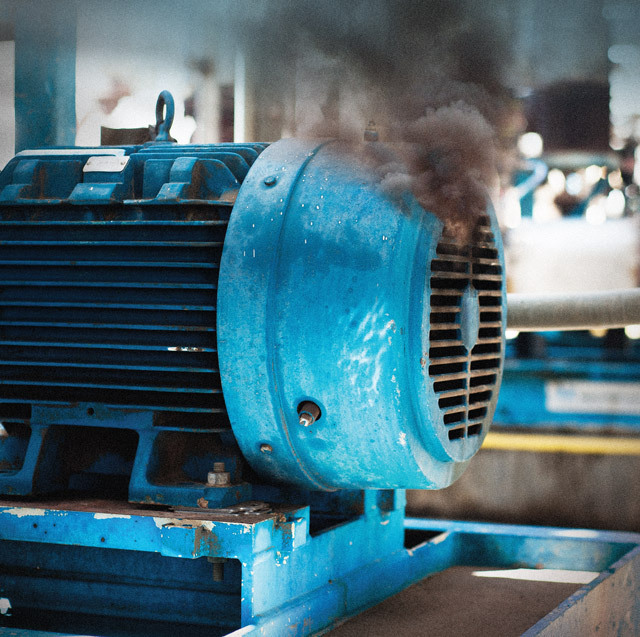 Without the experience to know what failure modes or other issues will arise with the equipment once it is installed in your plant, you will spend a lot of money and lose a lot of productivity after the fact when these failure modes and issues arise during production. Organizations fail to recognize the importance of this phase in ensuring reliability and entrust it to young engineers or senior engineers without the experience to eliminate these issues before they arise. This can be made even worse by handing this responsibility over to suppliers. Providing the equipment manufacturers with your organization’s specifications will go a long way toward setting up your facility for success. All too often organizations are more focused on the short-term cost of the equipment and pat themselves on the back for getting it cheaply. This is another failed approach that is prevalent in all industries today. One of the best arguments for establishing these specifications is achieving standardization throughout your facility. Requiring manufacturers to build to your specifications and not theirs will pay for itself hundreds of times over, absorbing any increased costs associated with the requirement. Equipment manufacturers use the cheapest materials they can get away with in their construction to increase their profit margins. If you do not demand quality, you will not receive it. By standardizing, you will reduce your development and materials costs. If you have little variation in your plant equipment, you will need to stock fewer parts, and your operators and technicians will need to have knowledge of fewer systems. All these things result in lowering the costs of operating and maintaining the equipment. Demanding that all the equipment’s service points be accessible while the machine is in operation will require fewer non-productive hours to proactively maintain the equipment. If your return on investment is calculated by the equipment’s productivity, then maximizing the hours it can run will give you the best results. The final stage in designing for reliability is to conduct a factory acceptance test (FAT). This refers to the functional test that is performed by vendors once they complete the assembly of the equipment. This test will verify that the equipment meets the specifications and functionality agreed upon in the purchase agreement. Before the equipment reaches the plant, it is imperative that an organization put the equipment through its paces and recreate all failure modes during this phase to work out the bugs in the factory and not in the plant. Spare parts management is another important element of incorrect installation. If the storeroom is run improperly (poor inventory, stock-outs, etc. ), the rest of the reliability operation does not stand a chance. The level of service in an organization’s storeroom is a solid indication of the effectiveness of its reliability efforts. Having the right parts is key to the elimination of improper installation. Without the right parts at the right time, reliability is not possible. What is the impact of not having the right parts? The delay caused by trying to expedite parts to the plant increases downtime and costs. If this delay is beyond acceptable time restraints, then it becomes necessary to use an alternative part. This increases downtime and costs as well. Also, it requires additional repairs to remove the alternative parts and install the correct parts once they arrive. Now you incur more downtime, costs and wasted reliability resources, which distracts the team that could be working proactively to address other issues. Of course, downtime is a loss of production and finished product. This impacts customers and their confidence in the organization. The main ingredient for success from the storeroom is to continuously monitor the needs of reliability and to adapt and partner with it. To manage this relationship, the storeroom must be deliberate in its communications. Reliability must know what assistance it will receive and in what fashion to count on the storeroom. From a reliability standpoint, there is an expectation of parts availability. Most of the time this expectation can be met. However, when it comes to certain parts, this expectation is not realistic due to costs. Reliability management and the storeroom need to communicate to operations in these situations to manage their expectations. Setting storeroom expectations after analyzing the failure modes and their impact on downtime is the most effective way to ensure reliability. The best time to decide which parts are to be stocked is when the equipment is new and before it is placed into service. The original equipment manufacturer, the part suppliers and the reliability leaders should work together to determine necessary spares. Once the equipment has generated historical data, reliability can adjust inventory levels and increase or decrease the stock on hand. In larger organizations, a parts inventory planner can enhance the determination of stocking levels, re-order points and replenishment trigger levels. Having an inventory that reflects and supports the current operation is one of the most important steps you can take to improve cost, work efficiency and reliability. The objective is to have the right parts in the right place at the right time. Combining resources from the organization and the storeroom partner to focus on the goal of cleansing the inventory is part of inventory accuracy. This includes providing overall coordination in fulfillment of the expectations. Improper installation can be compared to a milking stool - it has three legs that keep it from falling. The three legs are training, stores and design. If any one of these is not present, the person sitting on the stool must try to balance while also trying to produce. If you have three sturdy legs, the person/organization has the foundation to perform at its peak in this area. Which organization do you want to work for and what type of leader do you want to be?